Peckett 0-6-0ST Ackton Hall No. 3 has led something of a nomadic existence in preservation, moving from home to home but never getting the chance to turn a wheel in anger…until now that is. Gary Boyd-Hope looks at the plans of new owners, the Foxfield Railway, to return the loco to steam as part of a pre-NCB era train. 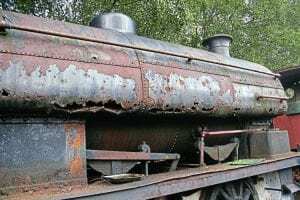 IF EVER a steam locomotive deserved the opportunity to undergo a full restoration to working order, then Ackton Hall No. 3 is it. You could probably say the same about a multitude of locos that have yet to run in preservation, but for this 16in-cylindered Peckett, its arrival at the Foxfield Railway in July last year was surely a case of ‘fourth time lucky’. Works number 1567 emerged from Peckett’s Atlas Locomotive Works in June 1920 as the 39th member of Peckett’s ‘X2’ class of 0-6-0STs, and was delivered new to Featherstone & Hemsworth Collieries in West Yorkshire. The Bristol-based manufacturer built 52 of the class in total, often in pairs, the first in 1906 and the last in 1940. They could be found serving industries across the UK, from as far afield as Northumberland and Pembrokeshire, to Lancashire and Kent. Two examples even found their way to far-flung Shanghai. No. 1567 spent its entire working career at Featherstone, becoming No. 3 in the Ackton Hall Colliery fleet. The nationalisation of the UK coal mining industry saw the loco absorbed into the new National Coal Board from January 1, 1947, but the Peckett soldiered on, thanks largely to the colliery manager, who is understood to have treated the loco as a sort of colliery pet. Thus Ackton Hall No. 3 continued in service alongside much-later-built Hunslet products, dating from the 1940s and 1950s. A major firebox repair was completed even as late as the 1960s, but this was not wholly a success and by early 1971 Ackton Hall No. 3 was lying out of use. However, fortune was to smile on the loco and thoughts turned to its possible preservation. In 1972 the NCB offered the Peckett, by now the last of its type still extant, on loan to the Keighley & Worth Valley Railway. The offer was accepted and the loco transferred to Haworth, where it was steamed on just one occasion. Unfortunately, the boiler problems resulting from the 1960s repair had made their presence known, and the Peckett was laid aside while a decision was made about its future. Ultimately, the Worth Valley would not return the loco to steam, and by the end of the decade it was off to pastures new. This time the NCB had placed ‘No. 3’ in the care of the nascent Llangollen Railway, but again a return to operation condition was not forthcoming and the Peckett remained unrestored. 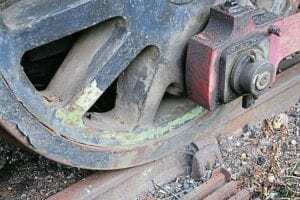 At some point it received a coat of black paint, but otherwise its time in Wales was largely uneventful, although it is understood that the loco suffered a derailment resulting in considerable damage to the brake gear. Meanwhile, the NCB had become British Coal in 1987, but the passing of the Coal Industry Act 1994 resulted in its administrative functions being transferred to a new Coal Authority, and its economic assets privatised. As a result some of the heritage assets, including Ackton Hall No. 3 and Hunslet ‘Austerity’ 0-6-0ST Antwerp, among other locomotives, were transferred to the National Coal Mining Museum for England, based at the former Caphouse Colliery, near Wakefield. The ownership may have changed, but for Ackton Hall No. 3 it was a case of business as usual and a move from Llangollen to the Grimsby-Louth Railway Preservation Society’s Lincolnshire Wolds Railway at Ludborough. 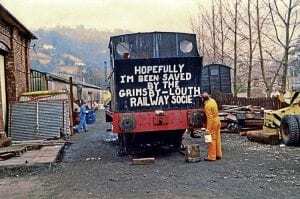 Hopes were high that this would mark a turning point in the loco’s fortunes, and it left Llangollen adorned with painted slogans such as “Goodbye Llangollen, Ludborough here I come” on the smokebox door and “I’ve been saved by the Grimsby-Louth Railway Society” on the running plate and on the back of the bunker. In spite of grand aspirations there was to be no change in the fortunes of the Peckett and by the mid-2000s it was agreed that the loco would move into open-air storage at Caphouse. And there it sat for the next decade, unsheeted and slowly deteriorating, with only a cover over its chimney to prevent rain ingress. Throughout the early years of the railway preservation movement, industrial steam locomotives found favour as a cheap and readily available way of providing a steam presence, while larger, more glamorous locomotives were overhauled or restored. Once they had outlived their usefulness, these industrial stalwarts were often set aside or moved on as their cycle began again. The Foxfield Railway, near Blythe Bridge in Staffordshire, is one of the exceptions. Like the Tanfield and Middleton railways, the Foxfield Railway is based on a former colliery line, which has been preserved in its entirety, including the colliery. Industrial steam has therefore been the selling point of the railway for nearly 50 years; the Foxfield Railway Trust working to preserve, restore, operate and interpret industrial railway artefacts connected with the local area. More recently the railway, in conjunction with the North Staffordshire Railway Rolling Stock Restoration Trust (or ‘Knotty Trust’ for short), has returned a train of vintage North Staffordshire Railway four-wheelers to service as part of a wider cultural experience. The railway is home to a wide variety of locomotives that were either built locally or are representative of types that worked in Staffordshire, ranging from the ubiquitous ‘Austerity’ 0-6-0STs to unique 0-4-0STs. These are the ‘bread and butter’ of the railway and continue to prove invaluable to the line’s operation, but the majority are privately owned. 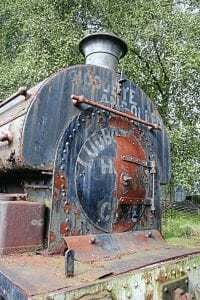 With ambitions to eventually run passenger trains from Foxfield Colliery and up the famous Foxfield Bank, having a powerful locomotive of its own has long been near the top of the railway’s wish list. A locomotive like Ackton Hall No. 3 for example. The potential usefulness of the Peckett had not been lost on Foxfield’s chief engineer Matt Healey, and in mid-2014 a visit to Caphouse was arranged in order for a mechanical assessment to be carried out. The effects of four decades stored in the open had clearly taken their toll on the upper structure, which were deemed to have corroded beyond economical repair. 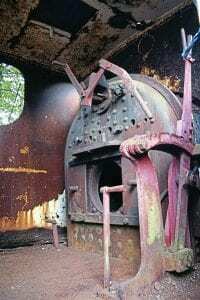 However, the boiler and bottom end were considered repairable, but not for much longer. A proposal was subsequently drawn up for the transfer of the loco to the Foxfield Railway Trust, which was agreed in early 2015. It was felt that the considerable expense of restoring the loco would make a simple loan unworkable, so the Foxfield proposal was geared towards the purchase of the engine. 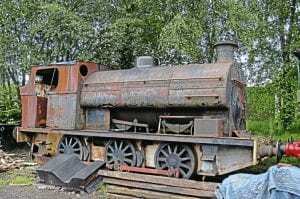 De-accessioning of the loco was relatively straight forward, however a clause dating from the British Coal transfer of the loco to the National Coal Mining Museum meant that if the museum wanted to sell it, it could only do so for its scrap value. Thus, for the bargain price of £3,000, the FRT became the new owners of the sole-surviving Peckett ‘X2’. It arrived on site in July 2015. So what did the Foxfield Railway get for its three grand? Well, mechanically the bottom end of the locomotive is in good order, with the exception of the smashed brake rigging. The horns and axleboxes are all heavily over-engineered, looking more like something from a main line Pacific than a 16in industrial. The tyres too are in very good condition. The ‘face’ of the Peckett still bears the slogan ‘Goodbye Llangollen, Ludborough here I come’. The Peckett wingplates will be restored. 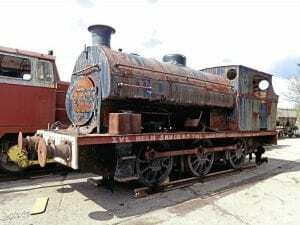 The boiler will require a new front tubeplate and possibly a new front barrel section, and the unsuccessful NCB firebox repairs will need to be undone. Initially, it was thought that this would mean the fitting of a new firebox, but the hope is that the existing one can be repaired instead. As already mentioned the cab, bunker and tank will all need renewing, and unfortunately the loco has lost all of its non-ferrous fittings at some point during its travels. Again, these will all need to be replaced. It could be questioned how the Peckett fits in at Foxfield, having no local connections whatsoever. That may be true of No. 1567, but two similar ‘X2s’ – including sister engine No. 1568 and No. 1577 – were employed on the Earl of Dudley’s Castle Mill Works system (then part of Staffordshire). A third, No. 1205 Lena of 1909, went new to the Madeley Coal, Coke & Brick Company, where two of the very similar ‘C’ class with 14in cylinders were also employed, so there is an historical precedent for the type in the county. The heavily wasted tank of the Peckett shows some unusual riveting patterns and an odd alignment of the platework. In Matt Healey’s words: “It is a very Peckett style repair, but not done to a Peckett pattern”. 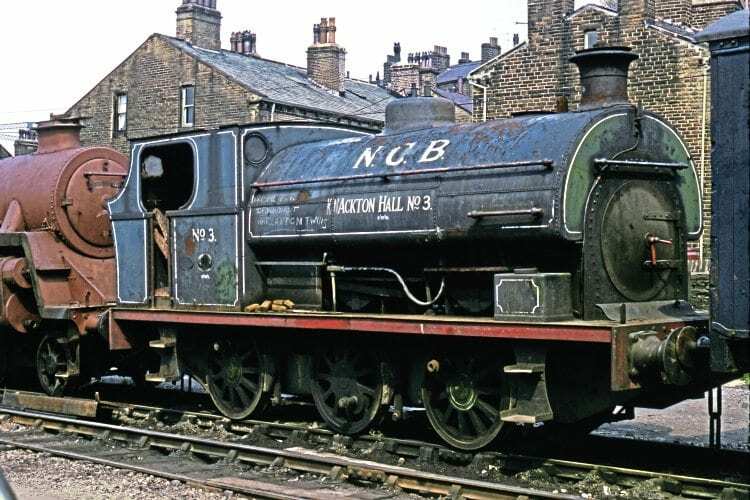 These days, finding genuine pre-NCB colliery locomotives is getting harder, owing to the dominance of the Hunslet ‘Austerity’ types. 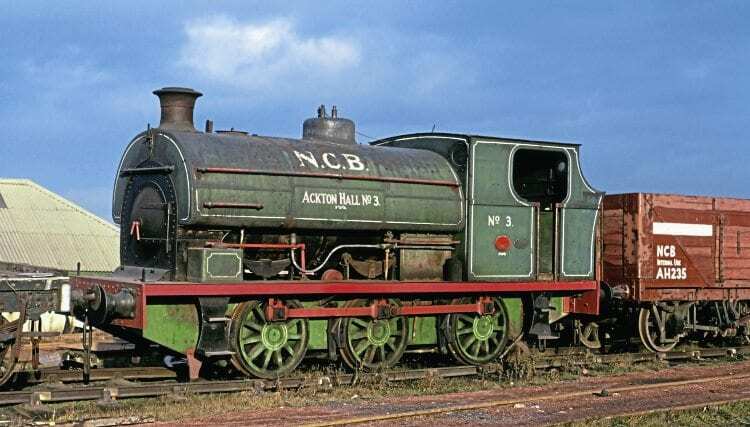 During the post-Second World War period the ‘Austerities’ had a similar effect on colliery locos as the grey squirrel had on the UK’s native breeds, leaving locos like Ackton Hall No. 3 as rare survivors indeed. Exploiting that is part of the Foxfield Railway’s grand plan for the loco. “Obviously we want to see the loco join our operating fleet as it’s perfect for the railway, and an ideal size for driver experience trains,” says Matt. “But the vision isn’t just about the Peckett. What we want to create is a representative pre-NCB train of the sort that could be found on colliery lines across the country prior to ‘vesting day’. The preservation-era black paintwork has seen far better days, and where it is peeling away the old Ackton Hall green is showing through. Ackton Hall No. 3’s 100th anniversary year is 2020, and the FRT would like to mark that milestone with the locomotive’s return to service. This cannot be achieved without funding, and the combined cost of completing the Peckett and its heritage wagon train is expected to cost between £200,000 and £250,000. In addition to the physical restoration, a key part of the project will be interpreting the train and making it accessible to all. Consequently, research work has already begun in the Featherstone area to tap into local community knowledge and links. The cab of Ackton Hall No. 3is bare, having been stripped of its fittings at a previous homes. Those fittings remain missing and the Foxfield Railway would be very interested to hear from anyone who might have them, or have suitable replacements. Note the modified regular handle, designed to allow the driver to lean from the cab and still reach the controls.